When it comes to Botox and Microneedling, the benefits go beyond reducing the look of fine lines and wrinkles—although those are some of the best benefits! 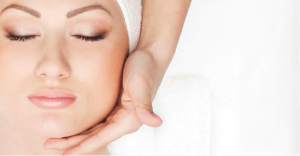 But the two skin care treatments are used for more than diminishing the effects of aging. For younger and older people, for treating wrinkles, skin blemishes, scars, and more, Botox and Microneedling are a powerhouse combo that rejuvenates skin and restores its youthful, blemish-free appearance. If you’re considering Botox in Scottsdale or Phoenix, or if you’re interested in our medspa Phoenix or Scottsdale Microneedling services, read on to find what benefits await you! Of course, the number 1 benefit of Microneedling and Botox in Phoenix is to clear your skin of fine or deep wrinkles. As many know, Botox involves injections of botulinum type A to relax the muscles that cause wrinkles and to tighten the skin for a smooth, line-free appearance. Microneedling is a different technique altogether. It involves the use of fine needles to make small punctures in the skin, which in turn stimulates the body’s natural production of collagen and elastin. Whether you choose a Botox Phoenix service, or a Microneedling Phoenix or Scottsdale service, you can be sure that your skin will regain its youthful, smooth appearance in a matter of weeks. Even if you are still in your youth, there is no proper age for Botox or Microneedling, because the services are beneficial for all different ages. Not many people are aware of this, but Botox and Microneedling can also help to reduce or eliminate scars from surgery, medical treatment, acne, or injuries. Studies have shown that injecting Botox near facial wounds can minimize or even prevent the appearance of scars from surgery. Similarly, Microneedling can clear the skin of scars from acne or other events that lead to blemishes on the skin. If you’re hoping to clear your skin of unsightly scars, no matter what the cause, you deserve to have the best treatment available. Contact one of our Botox Scottsdale or Phoenix specialists to learn more about how we can help you regain your confidence. Whether it’s wrinkles or skin discoloration, our lovely Sun can do some not-so-lovely damage to the skin. A Botox Scottsdale or Phoenix specialist can help clear your skin of the wrinkles caused by prolonged exposure to the sun, but what about sunspots? Research has shown that Microneedling can reverse the brownish discoloration that results from sun damage. Too much exposure to the sun can cause melasma, a form of hyperpigmentation that results in brownish spots on the skin. With Microneedling, it is possible to attain the clear skin you once had and get rid of those without unsightly blemishes once and for all. To learn more, contact a Phoenix or Scottsdale medspa, and our specialists can get you scheduled for a consultation. As you get older, one of the unfortunate effects of aging is the widening of pores, which can cause your skin to look rough and droopy. Fortunately, Microneedling can help with that. The stimulation of collagen production also minimizes the size of pores, allowing you to have clear, taut skin. No filters or airbrushing needed! Just treat yourself to a Microneedling session at one of our Scottsdale or Phoenix medspa treatment centers to get the look of supple, healthy skin. You probably take great care to follow a skin care routine that promotes healthy, beautiful skin. You might even spend hundreds of dollars on products for tightening, smoothening, toning, and cleaning your skin. But what if you found out that your skin isn’t absorbing most of those products? No matter how high-quality your skin care products may be, it won’t make a difference if your skin isn’t absorbing all the nutrients, essential oils, and other beneficial ingredients. It’s been shown that the average person’s skin only absorbs about 4 to 8 percent of the product applied to it. The good news is that Microneedling can promote better nutrient absorption. The hundreds of tiny punctures created by Microneedling unclog the pores, so that your skin is better able to absorb the necessary nutrients. To learn more, contact one of our medspa Scottsdale or Phoenix specialists. With the numerous benefits that a Microneedling Scottsdale or Phoenix service can provide, there’s no reason to wait! Get in touch with a specialist today and take control of your skin’s appearance. Beautiful, clear, wrinkle-free skin is possible, and our specialists can help you achieve it. Previous PostWhat Is The Best Age For Botox? My mom spends a lot of time outside doing work in the yard, and because of that she has some pretty noticeable wrinkles. I like how you point out that the sun can do some not-so-lovely damage to the skin. I’m sure she would really benefit from seeing a specialist about getting botox to fix the wrinkles that she has from the sun. Thanks for sharing!